Neurotechnology components for surgical devices are complex. Cadence has been the supplier of choice for incision components used in the neurology market for many years. Our breadth of experience in this market allows us to work closely with medical device OEMs in a way that fully enables innovative and highly specialized neurological solutions. 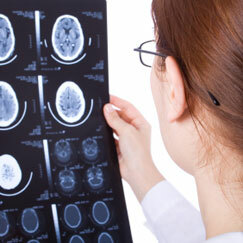 These neurological procedures demand components with the highest precision and reliability. Our customers come to us looking for the knowledge base we have surrounding incision technology and find our “Center of Excellence” for incision applications to be compelling and a cornerstone of future partnerships. Neurological devices demand some of the toughest tolerance requirements and smallest design windows. This combination can be a recipe for disaster. However, partnering with the leading medical device OEMs has helped us more fully understand the design needs of the surgical device designer and the manufacturing processes requirement to produce precision components on a production basis. From needle introducers to precision drug delivery instruments all incision components are manufactured to customer-supplied specifications, which are protected by our strict employee code of confidentiality.